Legolasindar added a comment to T82289: Implement Direct X 12 support. DX12? yes, but first make a 64bits product. Legolasindar added a comment to T81288: Stance adjustments not working since 1.40.129.533 update. Same bug in all my community. Legolasindar edited Steps To Reproduce on T79463: From some last patches, icons and flags dissapeared. Legolasindar edited Steps To Reproduce on T79172: Enable addons packages (to group addons in a folder). Legolasindar edited Steps To Reproduce on T78922: Make a Host game in port 2303, not show role selection. Legolasindar edited Steps To Reproduce on T78698: Classic turrets for vehicles with independent control turret and gun. Legolasindar edited Steps To Reproduce on T78180: Import/Export of Virtual Arsenal not work in Multiplayer. Legolasindar added a comment to T73013: The rocks and trees are seen floating in the air over long distances..
Legolasindar edited Steps To Reproduce on T73013: The rocks and trees are seen floating in the air over long distances..
Legolasindar edited Steps To Reproduce on T73011: New 3D scopes need fix (It looks like broken glass). Legolasindar added a comment to T66339: Room Clearing with the AI. Actually, the AI of the games and simulators is the most forgotten feature. Graphics, physics, sound, all this has improved since the beginning of the games, but the AI ​​has stalled, not advanced almost nothing. If we start seeing a jump in the simulation, we have to understand that we must first put the AI ​​to date. We have a clumsy AI, based on preset movements, which is not able to assess the situation one bit. Since I play as much as possible OFP/ArmA1/ArmA2 avoid having to use the AI ​​in missions, because it is very frustrating to see how something as simple as follow, are unable to do so. Or view as a single enemy soldier, if he sees you, attacks you, but you bring 4 tanks and 50 soldiers. Not that can not be improved, I have seen other productes, with reactions more logical AI. Legolasindar edited Steps To Reproduce on T65688: AI suicide from height (retro to lemmings). Legolasindar added a comment to T65622: bushes with lod problem. With the new patch some branches show geometric shrubs. Depending on the distance, the bush LOD changes from normal to a kind of pocket. Legolasindar added a comment to T65141: Add weapon attachment mount/dismount animations (which are already there). Legolasindar added a comment to T63946: 3D Head-mounted Display Support. All Valve games and other AAA and indie games is confirmed for Oculus Rift. ArmA series is more prepared for OR than others, please, add native OR support for ArmA 3 (and i hope ArmA 2), Thanks. Legolasindar edited Steps To Reproduce on T63864: Classic turrets for vehicles with independent control turret and gun. Legolasindar edited Steps To Reproduce on T62385: In ArmA 3 Shift+key and Key is the same. Legolasindar added a comment to T62289: Modifier keys ignored: Shift-Ctl-Alt-F2 has the same effect as F2. I set 2xG for launch grenade, and Ctrl+G for cycle grenades. If i pulse Ctrl+G two times, i launch a granade, and is the same for all controls. ArmA 3 not discriminates between normal key, and key with Shift, Ctrl or Alt. This severely limits the configurable keys, especially with the addons. Legolasindar added a comment to T61230: The text encoding allows characters with accents, umlauts, i other signs.. Yes, thanks for clarify my point Byter. Legolasindar edited Steps To Reproduce on T61230: The text encoding allows characters with accents, umlauts, i other signs..
Legolasindar edited Steps To Reproduce on T61224: The windows of a house through the walls of the other..
Legolasindar edited Steps To Reproduce on T61218: Incorrect mesh in a rocks. Legolasindar added a comment to T60692: Smoke passes through objects and building walls. Legolasindar edited Steps To Reproduce on T60442: Binoculars that you can download to see. Legolasindar added a comment to T60131: Loading screen shown while loading is complete already. Every time loading appear this screen, and you need wait, in multiplayer i die some time for wait in this unnecessary screen appear when loading is finished, sorry for my english. Legolasindar added a comment to T60025: No female soldiers models available. People claim deploy weapons feature, because it is realistic, claim shot from the helicopter and vehicles for infantry, because it is realistic, and woman in the armys is realistic, not need more reasons. No matter if it is easy to implement, or not, is to improve the realism of the simulator. And include female soldiers, is realistic. Legolasindar added a comment to T59670: Fly model of the helicopters in loops and roll is very unrealistic. Sorry, the videos i say. Legolasindar edited Steps To Reproduce on T59670: Fly model of the helicopters in loops and roll is very unrealistic. Legolasindar edited Steps To Reproduce on T59638: Sticker of ITV of the offroad civil pickup is wrong. Legolasindar added a comment to T59637: Dedicated buttons for adjusting the stance up/down instead of a modifier button (CTRL). Yes, i think is good idea add two controls for stance up and down, and whit this can apply stance in CTRL+F, CTRL+V o Mousewheel, or other if i need. Legolasindar added a comment to T59629: Wrong texture underwater in pier of Agia Marina. Yes, with last DEV still remain. The screenshot is in pier (jetty) of Stratis Air Base, not Agia Marina, but in Agia Marina also appears, although with less intensity. I saw that depends on the direction of the sun appears more or less, if you have something i above that makes shadow looks better. Legolasindar edited Steps To Reproduce on T59629: Wrong texture underwater in pier of Agia Marina. Legolasindar added a comment to T59473: Helicopters cant taxi. Helicopters with wheels can taxi, if you play DCS: Blackshark, the best actual helicopter simulator, you con see the Ka-50 can taxi. The impuls of the main rotor can push the helicopter in ground. The helicopters have two tipus of taxi in ground, touching the terrain, and in a low taxi height, using the air mattress is formed by ground bounce air blown by the blades to the ground. Off course helicopters can taxi in the ground. Legolasindar edited Steps To Reproduce on T59353: Can't place empty objects when edit new mission in a opened multiplayer sessión..
Legolasindar added a comment to T59083: Low CPU/GPU Utilization. This is my old profile. I get, with medium graphics, 30 FPS avg in ArmA 3, 35 FPS avg in BF4, Farcry 4, DCS World, 4 FPS avg in Assessins Creed 4 Unity. I bought a Geforce GTX 970 4GB, and now i get more than 60 FPS in all games with graphics in ULTRA, including Assessins Creed 4,... but ArmA 3 still remain in 30 avg FPS. Please Bohemia, rework the ArmA enginge, use CUDA, optimize the simulator. 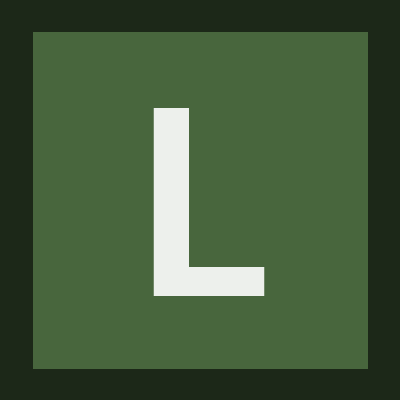 Legolasindar added a comment to T58819: squad.xml url turns to uppercase. Legolasindar added a comment to T58799: Deploying a weapon / proper use of bipods. ACE2 have this feature, of course is easy implement in ArmA3, please add this feature by default in the simulator. Legolasindar added a comment to T58793: Implement a visual stance indicator. I recomend add indicator same of HMM Stance Indicator addon.